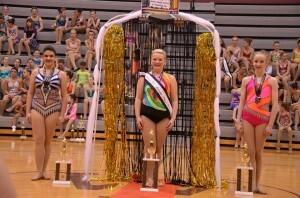 Kelly – Jr. Beginner Pageant winner! 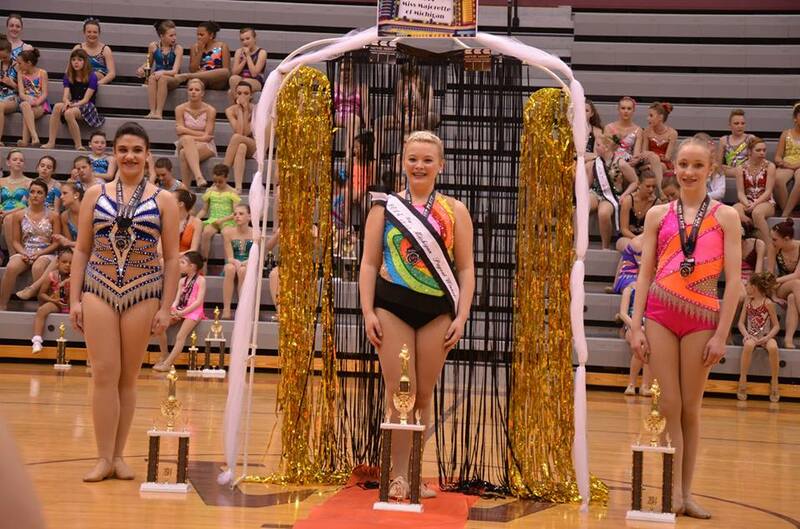 Pageant does not mean beauty pageant, but an all around event in twirling. Twirlers compete in interview, modeling, strutting and solo and the titles are given to the highest placement overall totaled scores!! Kelly Coghlan successful year continued at Miss Majorette as she won the Jr. Beginner Pageant and will also compete in the National Jr. Beginner pageant at Notre Dame this summer! Next to her in 2nd place was friend and team mate , Cori Walworth who also had a great day!